An extraordinary atmosphere created by a National Park. The luxury of enjoying an active time in the grand nature, and the luxury of doing nothing. Ensuring each and everyday is special for all guests. 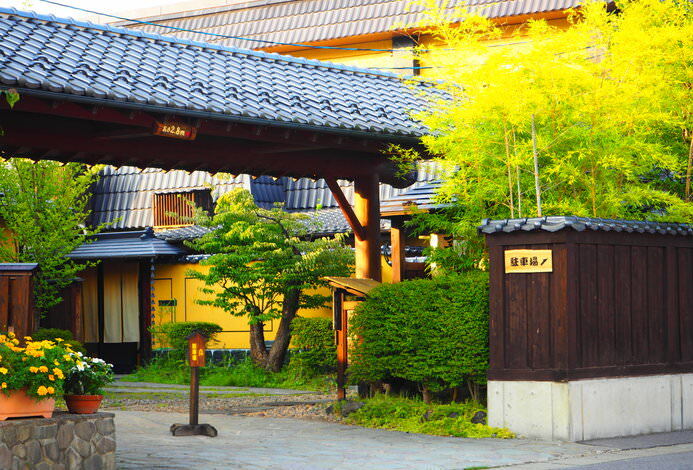 This is only possible because Kitakaruizawa Highland Resort Hotel is a small hotel, with a limit of 24 groups per day. 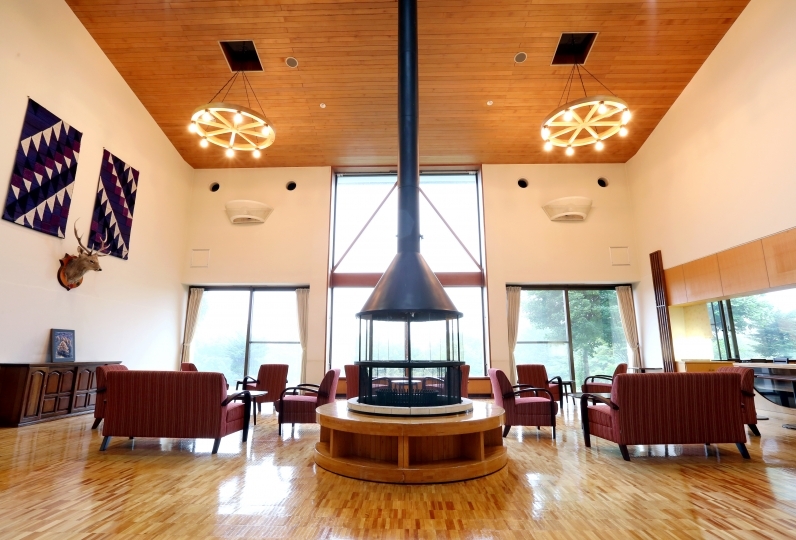 From meals and rooms to hospitality, Kitakaruizawa Highland Resort Hotel will look after everything for you. They aim to create a memorable time for their guests. Thank you for letting me have a wonderful time. ① After I got out of the car, check-in, the room and the restaurant were very close, so I was able to spend it easily as if I were at home. ② Both dinner and breakfast are excellent in content and service. ③ The room was spacious and clean and comfortable. * I was deeply impressed by the price which is the same as the business hotel with this content only. Course meal of dinner and breakfast were very delicious, too. The cottage was easy to spend and it was enjoyable by everyone. Next time we wanted to go to summer, so we talked with everyone, so I will take care of you in the summer again. One night stayed indebted. Both dinner and breakfast were very delicious. In the middle of November it was a cold season, but when I checked in and opened the room, heating was on and it was very warm and comfortable. Although it was maisonette type room, it is spacious, it is clean, amenity is fulfilling and I am very satisfied. There was a fireplace at the front desk, interior was also fashionable very warmly. It was a day I wanted to stay. The dining room with a classical atmosphere is illuminated with lamps. 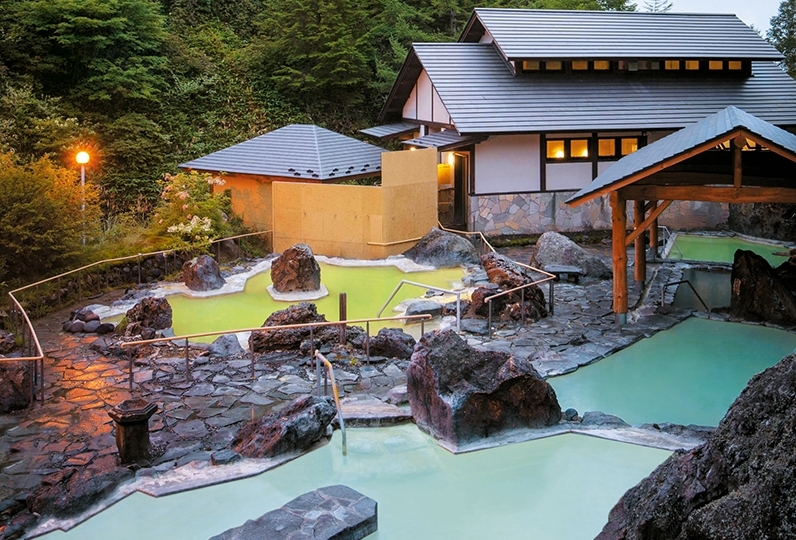 Gaze at the seasonal views of Asama Highlands that is lit up at night. A full course meal of French cuisine, made with carefully selected local ingredients, beautiful colors and rising aromas, sparkling champagne. Illuminated by oil lamps, and trees lit up outside, a luxurious table awaits. Enjoy a special night with a loved one, with superb dinner and warm hospitality. *Reservation required. Reservation must be made by 15:00 on the previous day. For breakfast there is a buffet of Western cuisine. Wake up to a refreshing morning of the highlands. Depending on the season, there may be table service instead of buffet. *Reservation required. Reservation must be made by the previous day. In the summer, guests can opt for a BBQ outside instead. There is a roof, in case of rain. Enjoy a BBQ of freshly harvested vegetables of the highlands in the cool nighttime air. Please refrain from bringing your own food and drinks. At other times of the year, the BBQ terrace space can be rented. Customers can choose a start time of 17:30 or 19:15. Please note that your preferred time may not be available if busy. *Reservation required. Reservation must be made at least 2 days in advance (before 15:00). The guestrooms have their own private baths. There is a heated pool on the patio of the annex building. 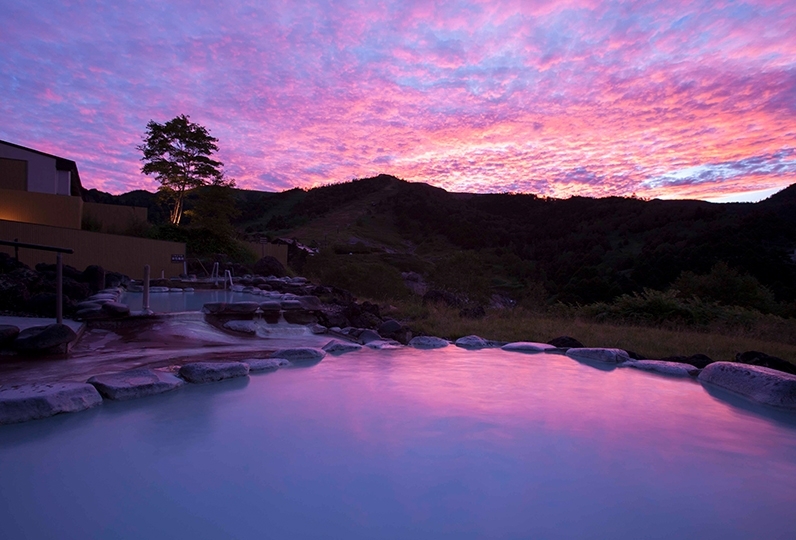 Enjoy a luxurious time in the refreshing pool of the highlands. The outdoor pool is open from late July to end of August. Free for hotel guests. There are 4 all-weather tennis courts by the hotel. The tennis courts which face Mt. Asama are open from Golden Week to early November. *Hotel guests can reserve the tennis courts. At the boat pond with a view of Mt. Asama, you can enjoy going on a row boat, a spot of fishing, and more. In the winter, it becomes a natural ice skating rink. This bowling center has a game corner, table tennis, snooker, darts, karaoke rooms, and more. You can opt to have bumpers if you're there with small children. For those who want to enjoy themselves surrounded by nature without a care in the world, experience something extraordinary, spend a special time with a loved one. The hotel, with a limit of 24 groups per day, provides hospitality that is only possible for a small hotel. They strive to ensure that their guests have a memorable stay. 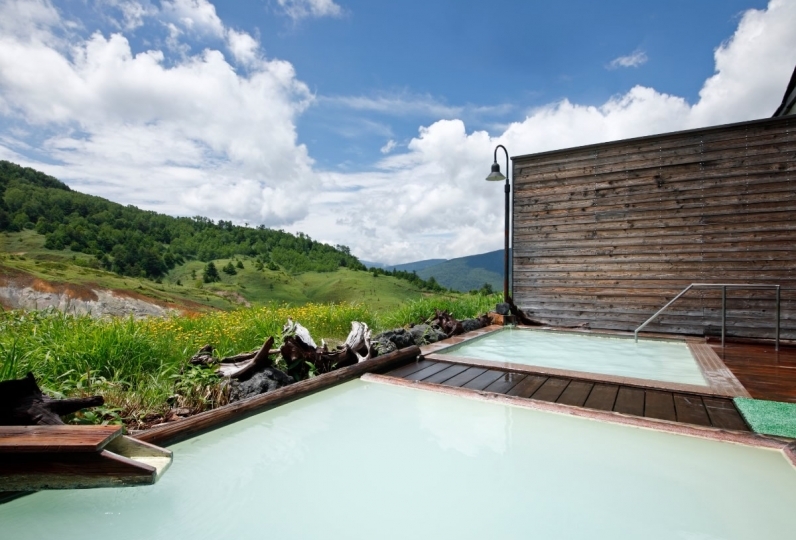 The nature of Asama Highlands, the starry night sky, the warm staff all await your visit. Q. Can I stay with my pets? A. Unfortunately, pets are not allowed at this hotel. ・As this is not a regular service and is operated by reservation only, please make your reservation by the day before your arrival. ・Please refrain from using the shuttle service if travelling by your own car. 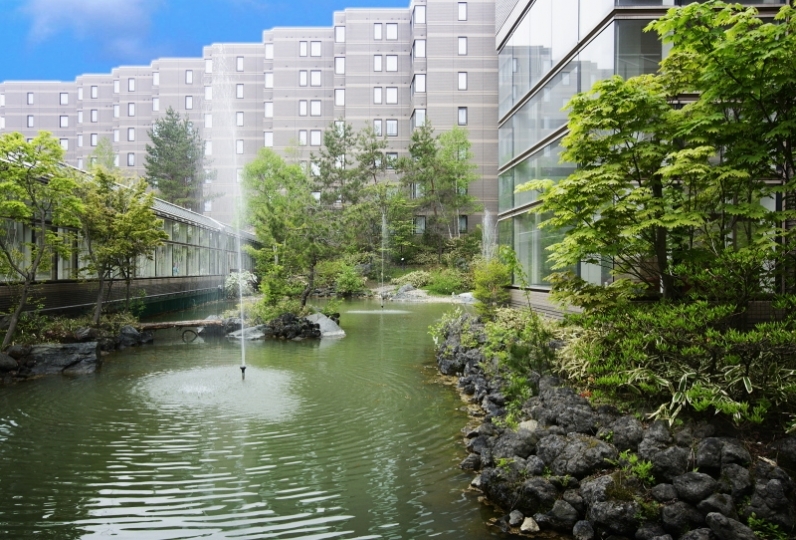 ・The route only runs between the hotel and Karuizawa Station. ・It departs from the North Exit of Karuizawa Station. From JR Karuizawa Station, it is around 30 minutes by Kusakaru Transport Bus. Right by the Asama Highland Park Bus Stop.